The World Youth Darts Corporation (WYDC) has formally changed its name to the Junior Darts Corporation (JDC), as this is a much clearer name for the age of players that the JDC is targeting. Steve Brown, Chairman of the JDC, said "This will be our second name change and we can appreciate why people may be a bit confused by the move. However, when people can see why we hope it makes clear sense. The very first academy started in 2010 in Bristol and was aimed at children aged 8 - 18. We ended up having 11 other formal academies throughout the UK playing under the same rules and system that we had developed at the SBDA, including the setting up of the Jamie Caven Darts Academy in Derby that Jamie still runs today. The critical success factor for us was that all the kids taking part were under the age of 18 and not actual Youths, which gets covered up to the age of 23 in some areas of darts. The Senior Management Team of the WYDC all agreed that the youth title did not clearly convey the message that we were all about Junior Darts from a grass roots level and developing junior players to enter the Youth structure that already exists in the UK on both the BDO and PDC side. This has been clearly demonstrated by our old SBDA academies providing over 40 players that have gone on to play County Youth Darts, Senior County Darts and doing well on the PDC Youth Tour. The already announced WYDC UK Tour that is designed to cover 6 areas of the UK to promote the junior game will now become the JDC UK Junior Darts Tour. 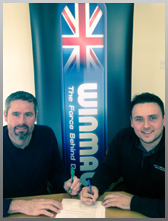 This Winmau backed tour officially launches the JDC to the darts public and we hope to attract as many young players as we can to enter and enjoy the JDC darts program where the winner of this event will walk away with a guaranteed 1000.00 pound." The JDC will continue focus on the growth of new academies under the JDC system across the whole of the UK. For anyone wishing to set up their own academy within the JDC all they need to do is read below. All JDC academies require Academy Directors and mentors to be CRB / DBS checked so that parents can have peace of mind that JDC academies are safe environment for their children to play darts in, also highlighted by the JDC's Anti Bullying procedures and code of conducts.